If you select credit card payment, you can download the product directly from the Completion screen when completing payment. If you are in hurry, please pay by credit card. No payment fee is charged. After you select the payment, you will receive an email with a Payment Number, which is required for your payment. 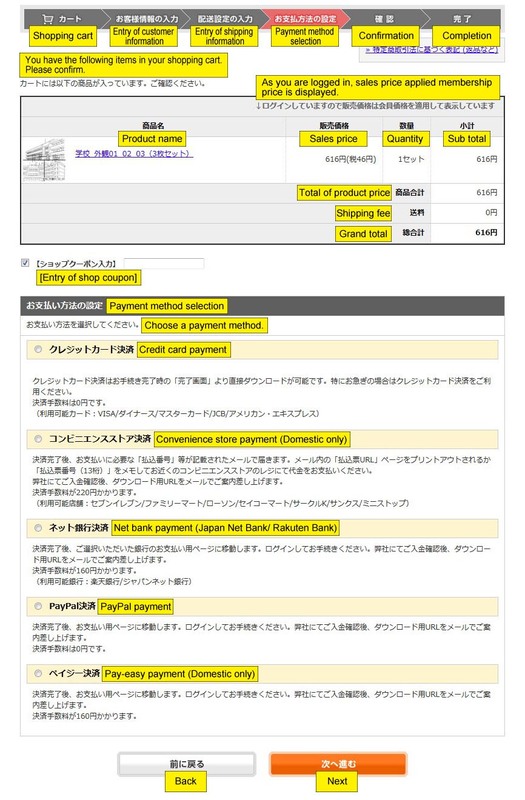 Please make the payment by printing the Payment Slip page whose URL is included in the email or writing down the 13-digit Payment Slip Number and presenting the number at the cash register of a convenient store. We will send you the download URL after payment is confirmed. Payment fee of 220 yen will be charged. After you select the payment you will be directed to the payment page for the bank you selected. Please log in to proceed. Once payment is confirmed, we will send you an email with the download URL. 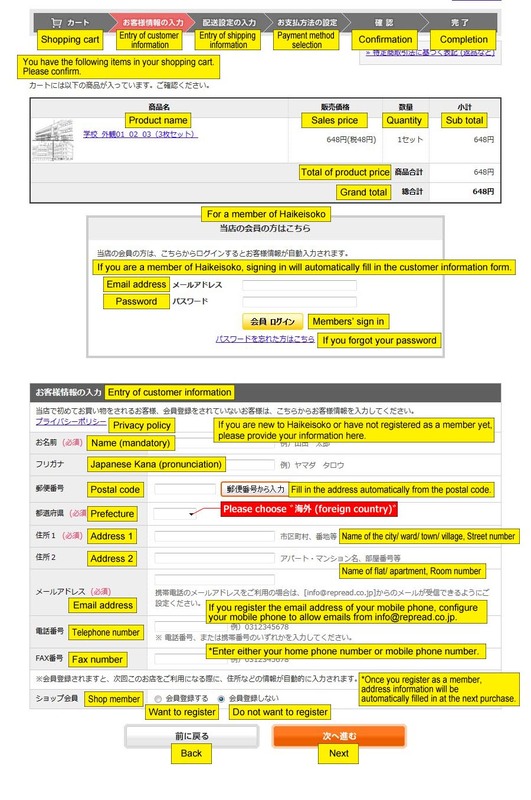 Payment fee of 160 yen will be changed. 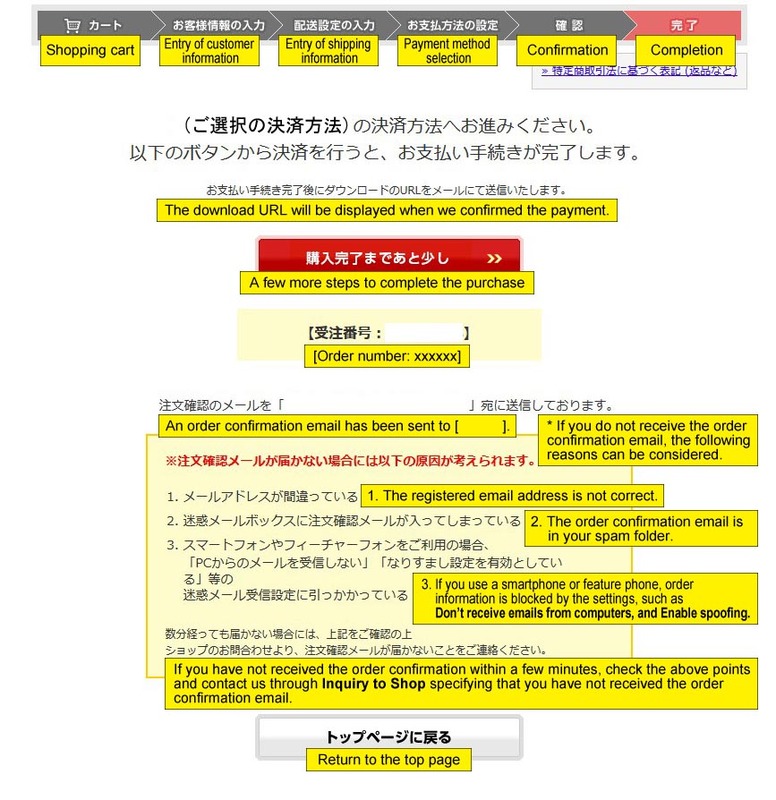 After you select the payment, you will be directed to the payment page. Please log in to proceed. 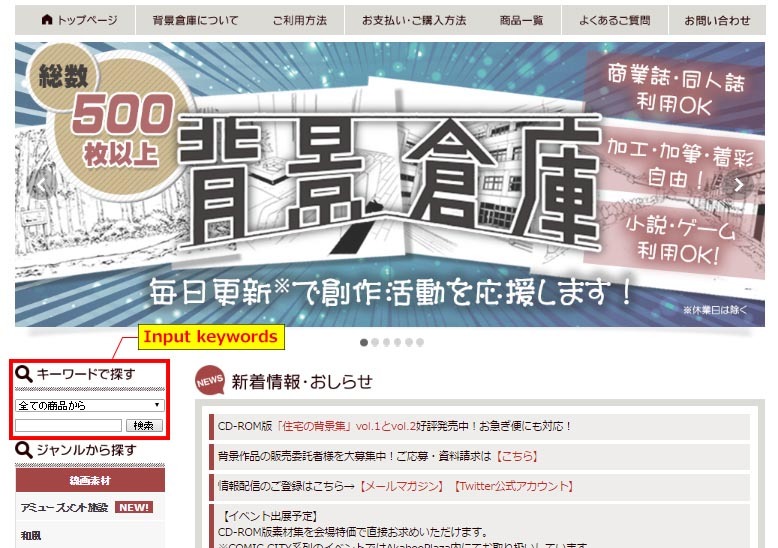 Input keywords and click the Search button. Add products to your shopping cart. After adding products to your shopping cart, if you would like to check out, click the Checkout button. If you wish to purchase other products as well, click the Continue Shopping button. Selecting Register As a Shop Member will allow you to shop with only your email address and password from the next purchase. If you have already registered, sign in with the registered email address and password. 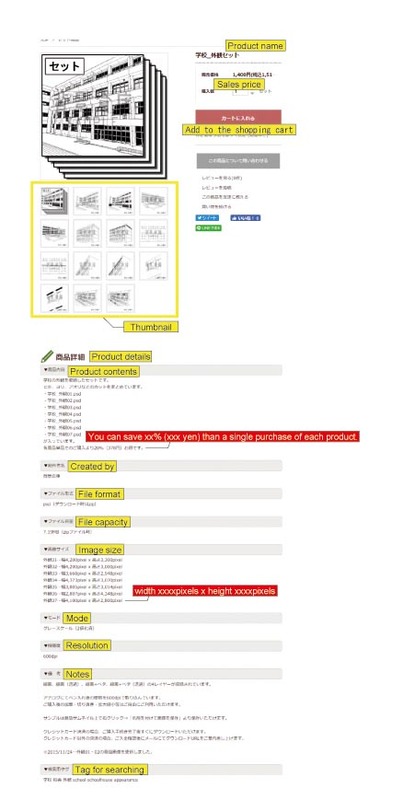 Although shipping method selection screen appears, click Next to proceed. If you have a coupon, provide the information on this screen. 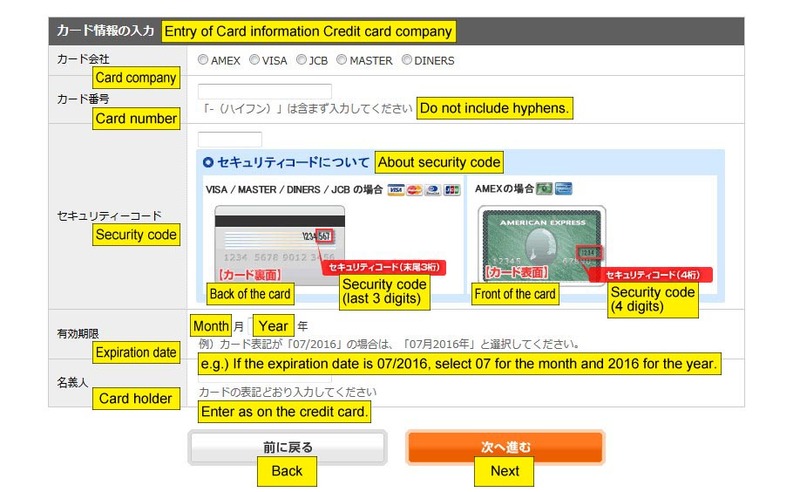 Proceed to the credit card information entry screen. Follow the instructions on the screen to proceed. Confirm the entry and if it is ok, click the Place Order button. 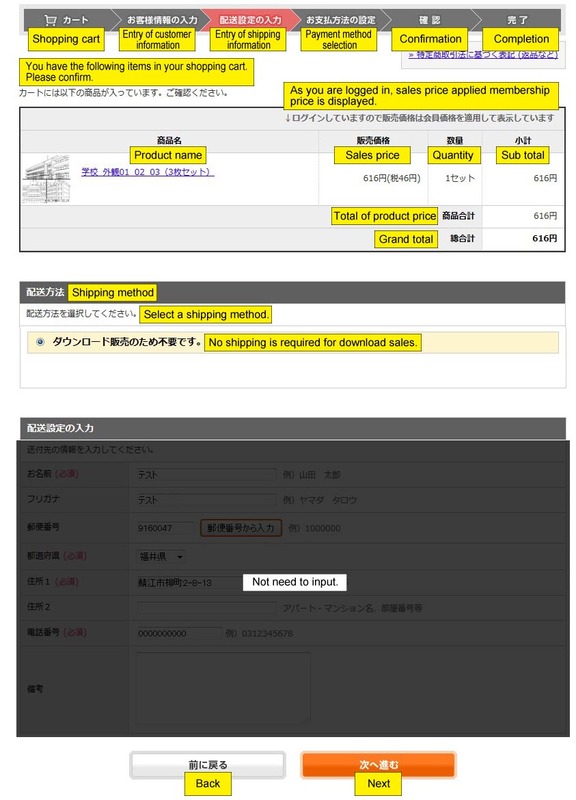 The download URL will be displayed when you complete the purchase. Click the URL to download the product. Be sure not to close the window until the download completes. If you accidentally close the window before the download completes, contact us at info@repread.co.jp. 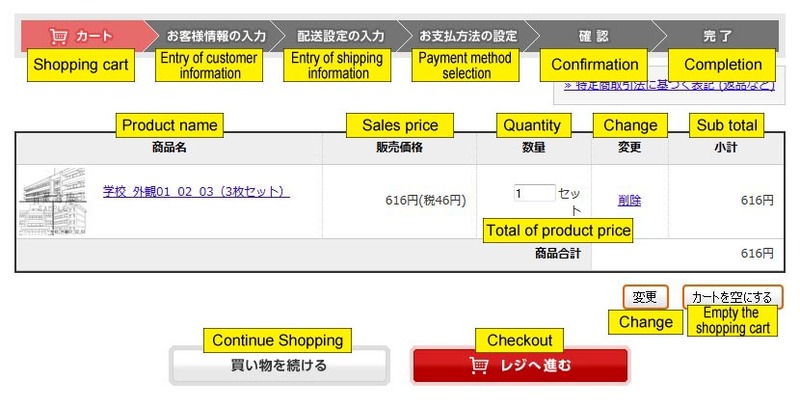 Click A few more steps to complete the purchase to proceed to the payment screen for the payment method. Be sure not to close the window until the process completes. 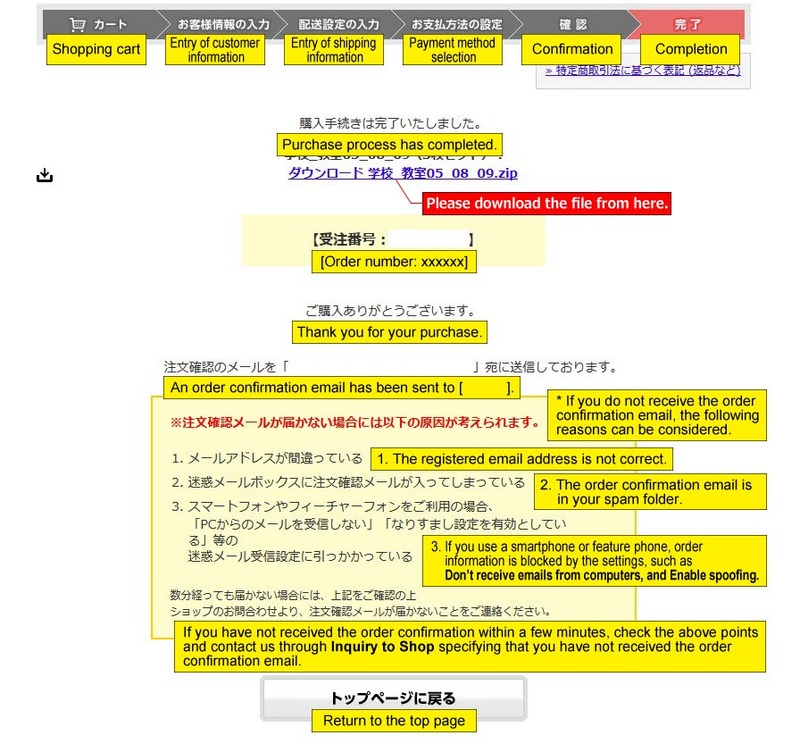 If you are unable to complete the process because of, for example, a bad network connection, contact us at info@repread.co.jp. We will reissue the URL to complete the purchase.